Essentially the options are really quite endless here with these bars. I made 2 varieties: PB cookie and a tropical fruit bar. In it’s most basic form it’s one cup of dried fruit to one cup of nuts. You can use whatever dried fruit nut combo you want and then add in spices, such as cinnamon, extracts, such as vanilla or mint, cocoa powder, chocolate chips, etc etc. I pre-soaked my dates in warm water so they would break down more easily. Run dates through food processor first for about 15-20 seconds, then add peanuts until blended. 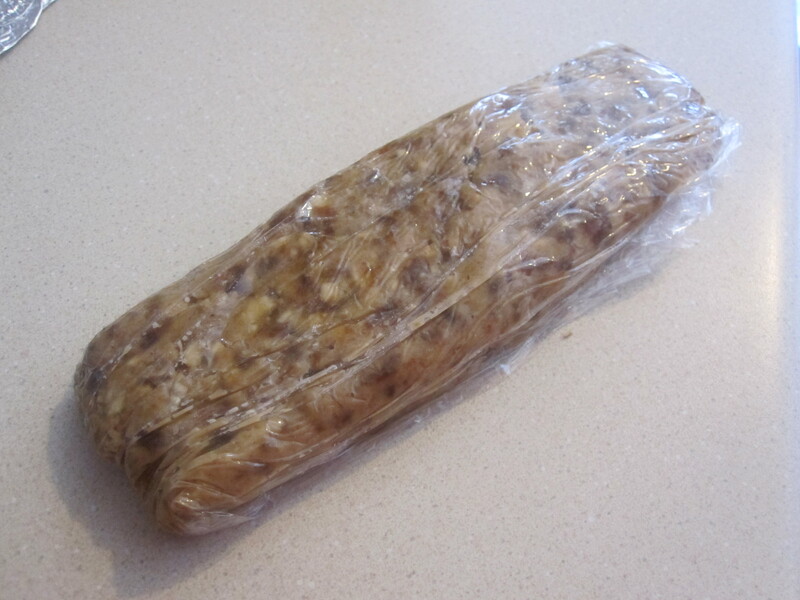 Pour onto parchment or plastic wrap and shape into a loaf. Run fruit through food processor first, then add nuts until blended. Pour onto parchment paper or plastic wrap to create bars. Refrigerate for 30 minutes. Cut into squares. ~The only caveat here is having a decent food processor. I have a cuisinart and it definitely struggled with this. I feel like when the blade spins it just pushes the materials up and doesn’t really ‘process’ them. I had to open it up and push the contents down multiple times. I added a little water at times to get things moving but that altered the texture a bit and not in a good way. It made it too sticky/puree like. The good news is you can add more ‘dry’ ingredients (nuts, oats, chia seeds) as needed to the fruit if it’s too sticky and not holding form. I’d love to hear about other combos people are trying with these! 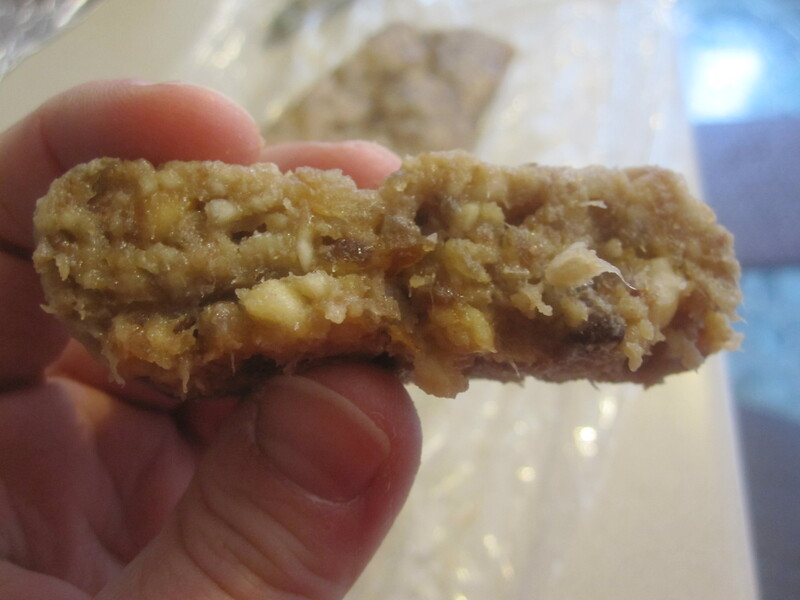 This entry was posted in Uncategorized and tagged breakfast ideas, cashew cookie, coconut, dates, homemade, lara bars, paleo, peanut butter cookie, peanuts, pinapple, recipe, snack, snack ideas, tropical. Bookmark the permalink.